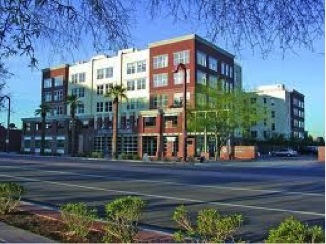 Artisan Lofts On Central is a Downtown Phoenix Loft Style Condominium located at 1326 N Central Avenue, Phoenix, Arizona 85004, built in 2002. 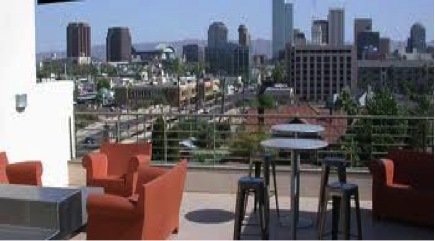 Amenities include: 25-Yard Lap Pool and Spa, Fitness Center, Rooftop Entertainment Deck, Putting Green, Dog Park. Artisan Lofts On Central is located in Downtown Phoenix, close to the The Phoenix Heard Museum, Phoenix Art Museum, Phoenix Public Library, Margaret Hance Park, Irish Cultural Center and Valley Metro Light Rail Station. Restaurants, sports, arts and entertainment venues are within walking distance or a short ride on the Valley Metro Light Rail.